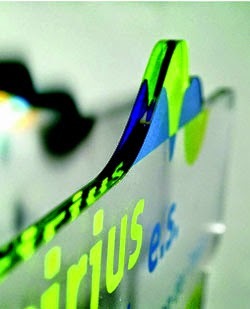 Laser cutting acrylic is an art and a science. There are many factors that will play a role in your ability to get the best possible edge; both in the material as well as the laser cutting machine itself. For example, the brand of acrylic and the type of acrylic can great impact the job. Other factors of variance include laser parameters: power, frequency, and speed; and laser process setup: table setup, focus, gas, exhaust, and material preparation. 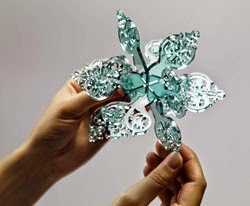 It's true that laser cutting acrylic can be very profitable, but it is also quite difficult, especially if you are after the “flame polished edge”. 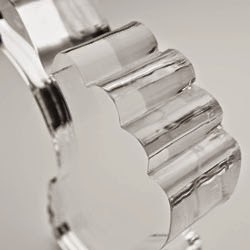 In this series of articles are several best practices and tips-of-trade for processing acrylic on laser cutting machines, starting with choosing the correct type of acrylic. First, let's discuss brand and type of acrylic. The type of acrylic can actually affect the edge quality. Extruded cuts better than cast; however, it will not frost when engraved and can leave a burr on the edge of the piece. So it's important to know the goals and priorities of the project and customer. Cast acrylic will cut just as good as extruded, but will require more intense power settings than extruded. The masking of the acrylic also makes a difference in edge quality. In the U.S., cast is almost always going to be paper mask. Extruded can be found as both paper and film mask. The film mask is much easier to cut, and it doesn’t require the top mask to be removed like cast. If the paper mask is not removed off the top, it is very difficult to get a smooth edge. The paper mask that is left on the top side is also very prone to flaming, which will ruin the piece if the burning is bad enough. Ensuring that you have chosen the correct type of acrylic is step one in getting perfect results when laser cutting for flame polished edges. Stay tuned for more tips on getting flame polished edges when laser cutting acrylic.